Lifting mulch plastic has always been a labor intensive process, and when and if you do have the labor its typically collected with debris and soil. These days its hard to find a home for this waste. Disposal sites charge exorbitant rates, and transporting loose dirty material doesn't make it any better. Now there is a solution to reduce your operation cost. 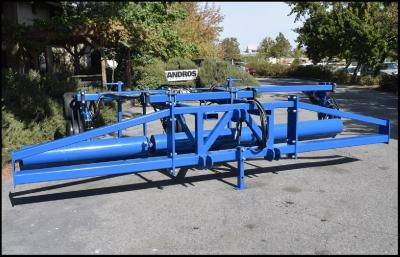 Andros has reconfigured its industry standard Extraction System to lift and shed debris from mulch plastics. 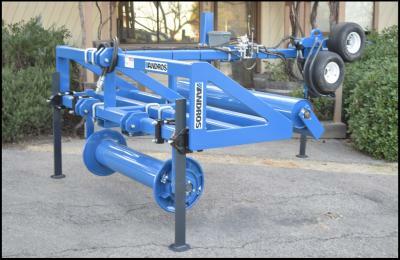 The ANDROS Mulch lifting system is designed to match tractor speeds up to 5mph, this device can be retrofitted to all industry bed spacing and materials, from single row to multiple row applications.